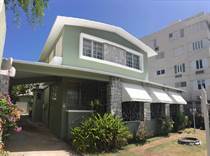 Miramar is a historical neighborhood within the Santurce district. Dating back to the 16th century, the economy flourished because of its proximity to the port of San Juan. Miramar is an exclusive neighborhood and residents enjoy the quiet streets and small-town charm. Find your new home in Miramar!